We offer an array of activities designed for every age in a multi-purpose children’s play area that’s fully air-conditioned and specially designed for safety. 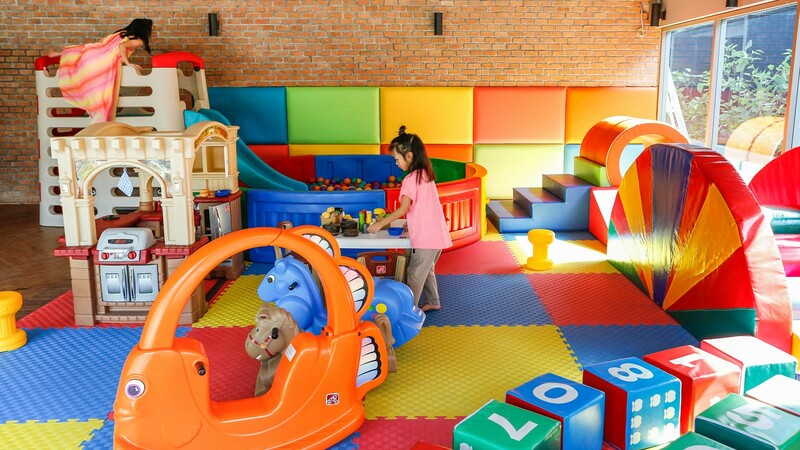 The play and entertainment room is filled modern gadgets and soft toys that’s sure to keep kids occupied for hours. The Kids Club provides a fun environment with professional, trained staff for toddler’s and children up to eight years old. A children’s menu’s is available as are babysitting services for children younger than 4 years of age from 8 am – 6 pm (and evening hours on request) There is a fee for this service and advance reservations are required.